The Federal Motor Carrier Safety Administration (FMCSA) mandate requiring the use of electronic logging devices to record and track Hours of Service is heading toward publication. The mandate is coming. Be prepared. 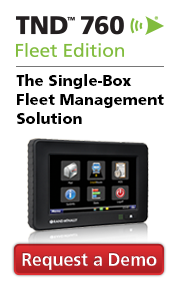 Learn about Rand McNally’s electronic logging and fleet management solutions. Rand McNally had a great time in Big D this past week at the Great American Trucking Show. 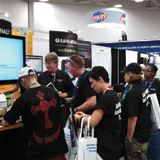 As usual, we were overrun at the booth providing product demonstrations, updating TND™ devices, giving away Motor Carriers’ Road Atlases, and chatting with drivers and fleet managers. One thing we heard loud and clear is that drivers are getting ready for the Electronic Logging Device (ELD) mandate. As a result, we had more interest in our TND™ 760 and HD 100 E-Log and Mobile Fleet Management solutions than ever before. Also at GATS, our V.P. of Research & Development Dave Marsh spent quite a bit of time fielding radio interviews – chatting with our friend Dave Nemo of Sirius XM Radio in his stunning suite/radio studio overlooking the West End of Dallas, and visiting with the folks at Red Eye Radio right on site at the Dallas Convention Center. Rand McNally also was proud to participate in Randall-Reilly’s Rookie of the Year presentation as well as the Women in Trucking annual GATS event (complete with chocolate fountain). Rand McNally’s mobile fleet management solutions are now integrated with Prophesy Dispatch transportation management software (TMS) from Accellos, a leading provider of supply chain execution software. Here’s how the integration helps you do more. The new integration between Rand McNally’s in-cab fleet management devices and Prophesy Dispatch transportation management software from Accellos is designed to simplify fleet-driver communications. The integration allows dispatchers and drivers to focus more on their jobs and less on the legwork of communicating load information. 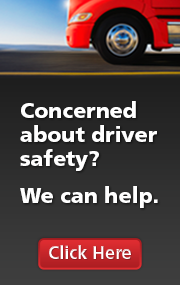 Call 1-800-789-6277, and find out more. 1 August 7, 2013. ELD Mandate Proposed Rule Sent to OMB. Trucking Alliance. 2 Rand McNally Driver Survey, August 15-20, 2013.